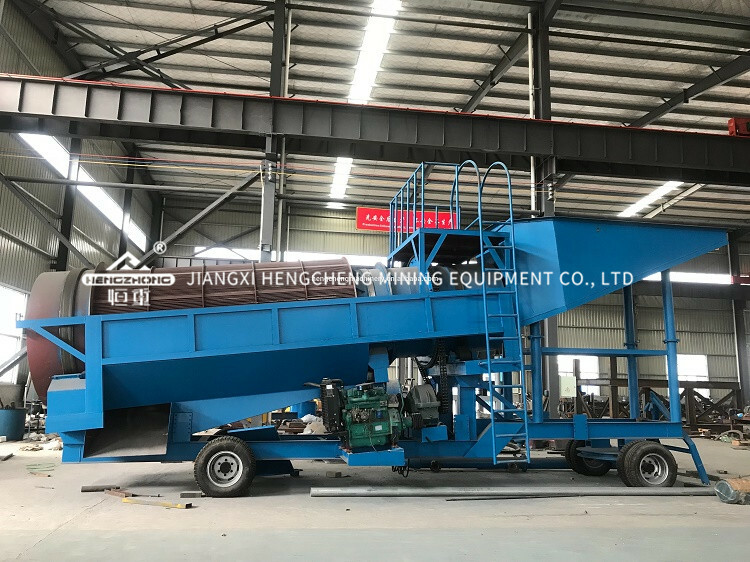 ﻿ Big capacity mobile gold washing plant|Jiangxi Hengcheng Mining Equipment Co., Ltd. Mobile trommel washing plant is composed by hopper, trommel, chassis, tires, turntable, generator, water pump, gearing, control panel and gold recovery sluice. The mobile trommel screen is an optimized removable platform for gold recovery, applicable to small or medium scale of placer gold ore processing that need mobile operation. Its advantage include less investment, less labor, fast return of investment, simple operation, mobile etc. And this mobile gold mining equipment is very popular in African,Asian,South American due to its easy to move and easy to operate. The whole drum adopts strong and reinforced roller support and gear side drive, or chain pulley drive. The screen using high manganese steel woven net, it has large processing capacity, high efficiency, long service life, and easy to replace, no clogging. The chassis using heavy duty beam and equipped with six tires and four mechanical support legs has sturdy construction, they can reinforce the bearing big capacity of the whole chassis, ensure the equipment run more smoothly, reliable and safe during load running. The front wheel can achieve 180o turn, flexible move, let the mobile platform can easily cope with all kinds of complicated road. Generator & motor separated drive, or direct diesel engine drive, low failure rate, easy maintenance. 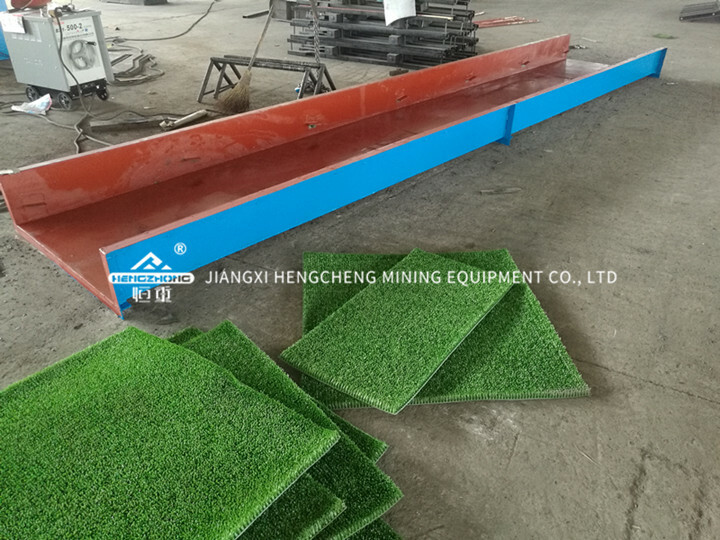 The gold recovery sluice covered by professional gold recovery carpet made of polyethylene non-woven, strong catch ability, high efficiency, it is also effective for fine particle gold. The drum can be divided into heavy duty and light duty. Heavy duty: the drum has a double-layer structure, inner layer with dense steel bar structure, which can prevent large material impact the screen directly, greatly improved the service life and screening efficiency for the outer screen. Light duty: the drum has a single layer screen, it is used in the material that no large material included, its advantage is light, which can reduce the weight of the whole equipment and energy consumption. All the packing methods are accordance with the international export standard:container 20GP or 40GP,40HQ,FR container,In bulk,the spare parts in wooden case. All the goods will be delivered in 10-20 days after receving payment.